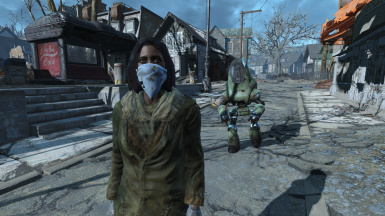 Is this mod compatible with Unique NPC's - Creatures and Monsters, and Unique NPC's - an Overhaul of the Commonwealth? Yes, they don't overlap. NPCs Travel use its own sets of leveled NPCs and creatures. 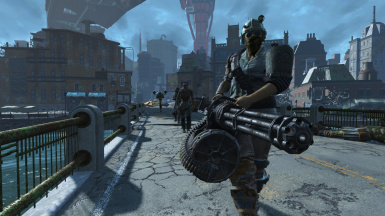 Would we also see different factions fighting similar to war of the commonwealth? Is the compatible with we are the minutemen? Yes it compatible with we are the minutemen. I really like this mod, but i have a bit of a question if i may please. How much script activity does this mod have? Can you customize update timers? what does the japanese voice do, like they will speak japanese to me? 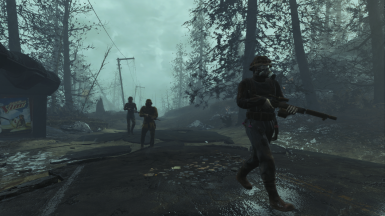 Great mod, its really nice to not have an empty wasteland to wander in. 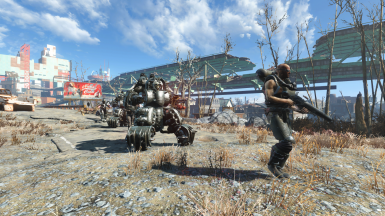 Is there a way I could make it so that deathclaws spawn like they do in vanilla instead of just at night, reason is I am using deadlier deathclaws and rarely get to see one anymore. 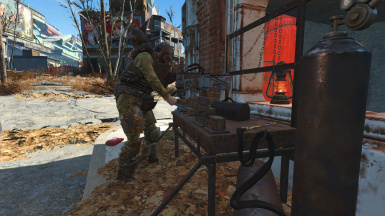 Have you turned off the Deathclaw option in the config holotape? I also use Deadlier Deathclaws with this mod and use it with that option deactivated. I certainly don't have any Deathclaw shortage. 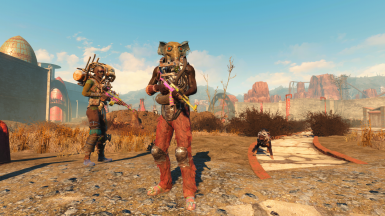 I also put Deadlier Deathclaws lower in my load order than NPCs Travel. You might try doing that as well. is this compatible with Zombie Walkers? I'm about to find that out myself today. Will report back later. Been using both for ages without issue. He never reported back. snif snif. It's compatible. Just keep in mind that zombie walker spawns in groups of ghouls in cells close to your location, and pending how tough they are(and your settings for that mod in general) - it's possible the ghouls can kill the roaming NPC's from this mod before you encounter them. Or if you have the option to have the dead come back as zombie ghouls, they may already be dead and roaming as an undead carcass. 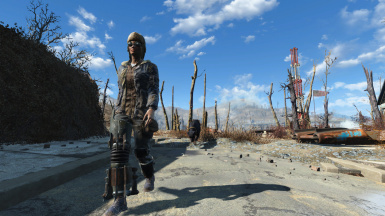 Really amazing addition, i was once in a fight with a bunch of raiders and nearly died, then a scavenger and her robot came out of nowhere and helped me out. After that i bought some of her stuff and we went our ways, a nice little encounter. Any compatibility problems with We are the Minutemen? None that I've seen. They even wear the combat armour. I used this for longest time when I had nmm, but I've recently made the switch to mo2, and still very much learning about it , .. I have been slowly c and carefully sorting thru un-managed mods to be managed by mo2, so when I downloaded this and looking thru flags, its showing this mod as a red triangle with exclamation mark inside and a yellow bow for info , and when I hover over it , it says missing masters dlc coast, I dont know or understand much about those things, but i have all the dlc's ..
Hey jaderiver: One thing you can try is to look at the Archives tab on the right side of the MO2 window. In the past I've had master archives show as being inactive there and need to check the box next to them to re-enable them. Not sure if that is the same problem you're having but it's worth a look. 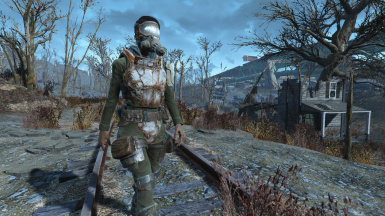 I did look there at all actually to check on others, the npc's travel in archives is just main ba2 o.O :huh: the file I downloaded is FO4 NPCs Travel but requires automaton, nuka world , and far harbor still ? Maybe I should download the non dlc first then use the other an update ? to so see if anything changes ? Ok after a careful re install of all mods, into mo2, I get this working again ... and gave myself a holo tape in game, thanks!